A significant reason for the astronomical success of Fortnite is how child-friendly the game is. It might be a free-for-all shooter, but a combination of a cartoon aesthetic and a minimal outward display of violence (as well as that helpful free-to-play tag) means that Fortnite can be accessible for children while not alienating their parents. Sadly, it would seem that children don’t always have the tactical nouse or fine-tuned reflexes of older Fortnite players, and some parents have become concerned that their progeny haven’t been able to secure that elusive Victory Royale. While my own parents wouldn’t have given a damn about that, it seems that some parents have taken the opposite approach, and are now paying for their children to receive Fortnite coaching. In much the same way that some kids would get music lessons or go to sports practice, other children are now being taught how to be better at Fortnite – at a cost of up to $20 per hour. According to The Wall Street Journal (that article is behind a paywall, but you can read more via BleacherReport), some parents are prepared to spend significant money on helping their children improve. 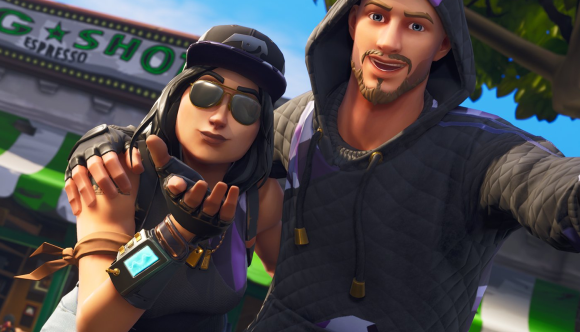 One parent, Ally Hicks, paid $50 for four hours of online coaching for her son, saying “there’s pressure not to just play it but to be really good at it.” The trend is similar to that of the ‘Fortnite Buddy’, a skilled player who would be paid to play as part of a squad in an attempt to help them win. Another parent, Nick Mennen, said that coaching had helped his son rack up multiple wins a day in the battle royale. Of course, you could simply show your children our Fortnite tips guide if you want to help them win. It might not be quite as effective as hours of one-to-one coaching, but it does come with one major bonus – you don’t have to pay to read it.